Check out the Events page to see if Ingrid will be at an event near you. Ingrid was recently invited to join the terrific blog, Jungle Red Writers. She is thrilled to join members Julia Spencer Fleming, Lucy Burdette, Hallie Ephron, Rhys Bowen, Hank Phillippi Ryan, Deborah Crombie, and Jenn McKinlay. Join them every day for book recommendations, guest blog entries, and lively discussions! 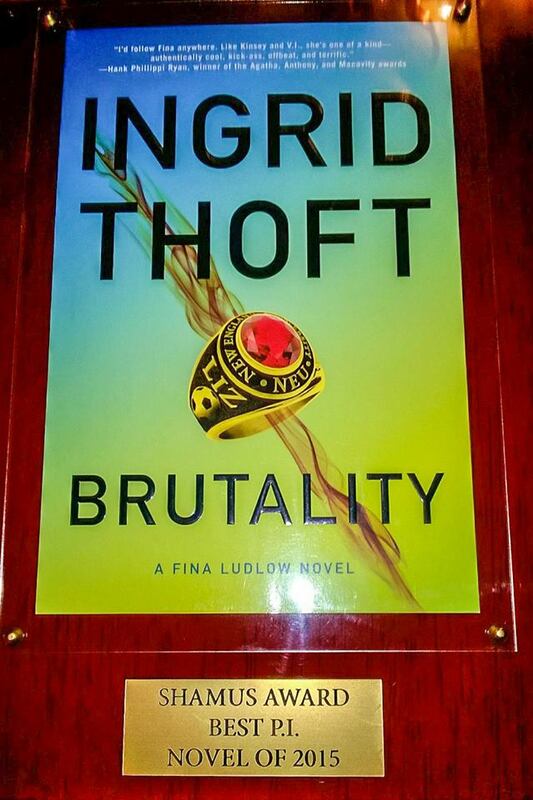 At the annual Bouchercon conference in New Orleans, BRUTALITY was awarded the Shamus Award for best P.I. novel by the Private Eye Writers of America. 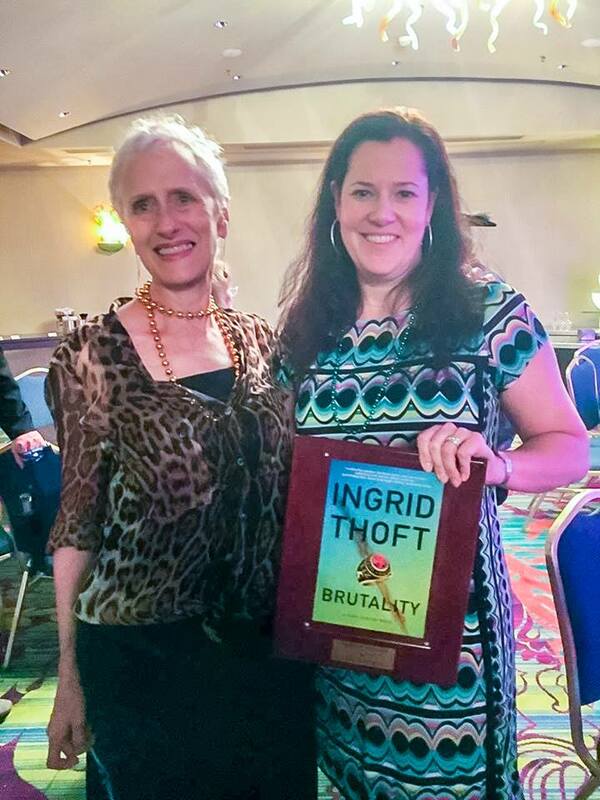 Ingrid was especially thrilled to receive the award from the creator of the V.I. Warshawski novels, Sara Paretsky. Ingrid is the cover story of the summer edition of "Mystery Scene" Magazine. Check out the terrific interview by award-winning writer Hank Phillippi Ryan. Meet Ingrid at Bouchercon in Raleigh - October 8-11. Mystery Scene magazine names Ingrid in "A Dozen Authors to Watch and Read"
LOYALTY is a Thrill Ride!